No two ways about it: it’s a tough time to be standing up for what is right. 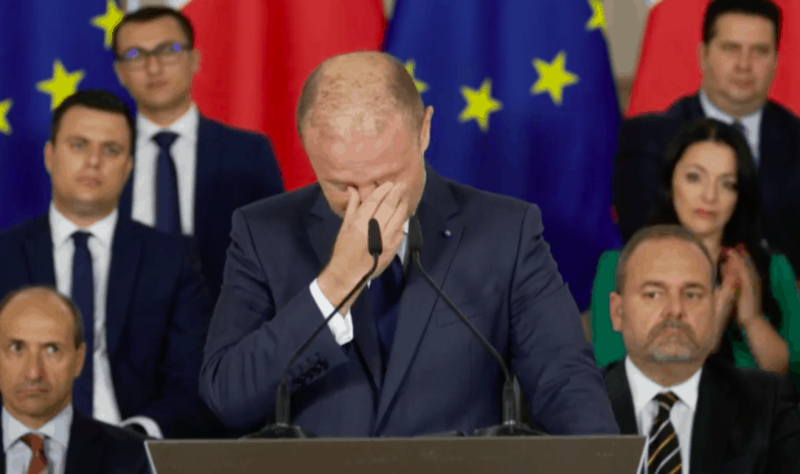 The might of the axis that supports Joseph Muscat’s power is greater than it’s ever been and the noise out there silences most people who would otherwise speak out against it. Yesterday David Casa published a leaked FIAU report that carried reams of documentary evidence that showed Konrad Mizzi should be prosecuted for money laundering and corruption. David Casa had been intimidated for months by the government, told he could face prison if he published the document in his possession. That threat was confirmed for him and for his source in an FIAU statement yesterday that also said the document was ‘not a final report’ and therefore false: the classic ‘these are all allegations and never been proven in court’ argument used for all crimes that are simply not prosecuted. Then Adrian Delia cuts David Casa loose repeating on TV the government’s official position that the report is not final and disassociating himself and his and David Casa’s party from it. You would have to ask yourself if you were in David Casa’s position, why do I do this at all? Why do I risk prison if I have no friends and no allies; if my own party leader repudiates me and refuses to back me? You see, though we sometimes get tired of two sides in politics speaking at each other in black and white terms, one saying tom-ah-to and the other saying tom-eh-to and never the twain shall meet, there’s only one way reality could be worse: having only one side in politics. And David Casa, who could have turned away the source who brought him all that suppressed evidence of corruption by a politician scrounging on our tab, is now — to use an often used phrase these days — a political orphan. This is Adrian Delia’s way of telling all opposition MPs exactly how things work in his brave new world. They are not to seek bases to criticise the government. That is, as he calls it, the wagon that lost the PN by 40,000 votes. The PN is instead to take the government’s official story at face value and accept it as fact. The issue here is not whether Adrian Delia is likeable and whether he has any potential to obtain more votes than his predecessors in an election. The issue is what Adrian Delia thinks his job as Leader of the Opposition is and that if he refuses or is unable to do his job properly now, what’s going to happen when and if he ever gets a more important job. Times of Malta yesterday said Adrian Delia’s decision to fire Simon Busuttil from the shadow cabinet and ask him to quit the whip altogether was the right one. They also said Simon Busuttil was right to say he must continue his fight for justice — and so he must, perhaps by joining PD or civil society. The logic of that editorial is perverse. It is incredible to me that a publication that signed up to The Daphne Project, that investigated Egrant as much as any other story of corruption so assiduously, that challenged the Prime Minister to explain Egrant at least as much as Simon Busuttil did, reasons this way. I may have said this somewhere else. The suspicions on Egrant were not created by Simon Busuttil. Or Times of Malta. Or Daphne Caruana Galizia. Or Pierre Portelli. Or Maria Efimova. They were brought about by Joseph Muscat’s refusal to fire Keith Schembri and Konrad Mizzi when they were caught owning two of three Panama companies, the third of which was earmarked for someone “more important” so much so that only verbal information about him or her was safe. Now we have the conclusions of an inquiry that refer to forged signatures on documents and inconsistent testimonies that in the view of the Magistrate who collated the evidence are not sufficient grounds for further action. It’s not just that we’re to accept this outcome. Sure, let’s. It’s that the premises on which the outcome is based remain invisible to us but have been seen by the prime minister, who is now revelling in throwing hints and casting aspersions of fraud on people who manifestly had nothing to do with any of that. Jonathan Ferris’s outburst on Lovin’ Malta last night is the sort of bonus people like Joseph Muscat sometimes happen on in the fog of war. David Casa never outed his source but it would not escape Jonathan Ferris’s imagination that whether he was the source or not, the government is extremely impatient to get their hands on him. They have been for a long time. That can’t feel good. Maria Efimova was thrown under the bus. In spite of the fact the inquiry acknowledges that on many counts she testified to matters that would much later be independently verified and were not the subject of any press reporting by anyone at the time she did, and in spite of the fact there appears to be no suggestion she handed anyone, least of all the court, any forged documents, we’re now discussing her ‘lies’. That, indeed, is how you discredit a witness. Friendly fire in the fog of war is a fortuitous bonus but the government is not leaving anything to chance. In a disgusting statement yesterday they challenged the Caruana Galizia family to speak of what they are supposed to know of forged documents handed in to the inquiry. This, when of course the inquiry, or at least what we’ve seen of it, does not say any forged documents were handed in by Daphne Caruana Galizia. Then there’s the third source of documentation, Pierre Portelli. He was a journalist at the Independent at the time and a source, who he (Pierre Portelli) clarifies was neither Maria Efimova nor Daphne Caruana Galizia, gave him signed documents which he had no way to authenticate. He did not publish the documents but knowing there’s an inquiry going on he handed them in. Now Labour says Pierre Portelli should be accused of forgery. Again we do not get to see the inquiry report in full to understand why this is even suggested. On the basis of what we do know now this is nothing short of a full-scale assault on journalism. A journalist acts responsibly. He receives what could be evidence which he is unable to verify and instead of publishing it, he hands it over to the authorities. And now we talk of prosecuting him? You know that in Azerbaijan and in Turkey when journalists are imprisoned they look for some pretext in the law. This is what’s happening here. Pierre Portelli is likely to find more backing from Adrian Delia than, say, David Casa. He has since left the Independent and is one of Delia’s most trusted aides. But Adrian Delia’s penchant for throwing his own people off or under the bus will make him a very weak ally. Of course, as far as I’m concerned it is irrelevant who Pierre Portelli works for and which side of the pro-anti-Delia line he falls. If this situation were happening to Glenn Bedingfield, I would argue in the same manner. No one should be facing this sort of state-sponsored terror, and particularly no one who is facing it as a consequence of their journalistic work. Even more so when we’re talking about Panama trust documents issued by Mossack Fonseca where documents signed by people whose name is not on the document they are signing was the order of the day. If we’re talking about Jacqueline Alexander’s signature here, she was director of some 7,600 companies. She’s part of a troupe of semi-literate, poorly paid women living in shacks outside Panama City and will likely answer honestly in the negative to the question whether the signatures on her name of any of all those 7,600 documents of incorporation was done by her hand. What is going on is quite nightmarish, if you take a step back. Start from the fact everyone seems to be ignoring that the prime minister should not even be in possession of the full report if the rest of us are not as well. This was not an inquiry under the specific law regulating inquiries where the prime minister is the client. It does not matter who “asked” for the inquiry to be undertaken. It was set up under the criminal code and is, therefore, an inquiry into the suspected conduct of an individual. That individual, in this case, is Joseph Muscat and there is no reason why he should have privileged access to information in a criminal case that is deemed inappropriate for the consumption of others. Joseph Muscat is now using an investigation into his affairs to exterminate the credibility of others. What was a criminal investigation that found insufficient evidence to proceed to criminal action against him has now become the covert basis for the political assassination of others. Target number one was Simon Busuttil. Of course he was. Then Maria Efimova — whom they have been hounding like a wounded animal for over a year. Then Pierre Portelli because why not? And others yet to follow. But the real enemy they’re after is Daphne Caruana Galizia. Some of them actually said it aloud: they wish she were alive so they can kill her all over again. Keith Schembri has the dark patience to enjoy this silently. Not so much Konrad Mizzi who gleefully said “this”, whatever ‘this’ is, proves Daphne Caruana Galizia lied about him. And of course, it proves nothing of the sort. I got a wrist slap for using expletives in my post yesterday on that subject so I really need to remember to stay calm. It’s nowhere near the first time that Joseph Muscat’s axis focused their fire on Daphne Caruana Galizia, seeking to destroy her. It’s not the first time that the manipulation of information, spin, and lies was used to seek to discredit her. She would have been there handling it all on her own, providing cogent and crisp arguments, fighting back the violence with logic and rationality. Now they battle her knowing her great army of one can no longer fire back.